The "International Monetary Fund Finance and Compensation" email below, which claims that the recipients are approved to receive thousands of dollars from the International Monetary Fund(IMF), is a scam that is being sent by scammers to their potential victims. Recipients of the fake email message should not respond to it or follow the instructions in it. Remember, every month, scammers send out thousands of scamming email messages in an attempt to trick recipients into thinking they have won the lottery, or have received money from an organization or an individual. 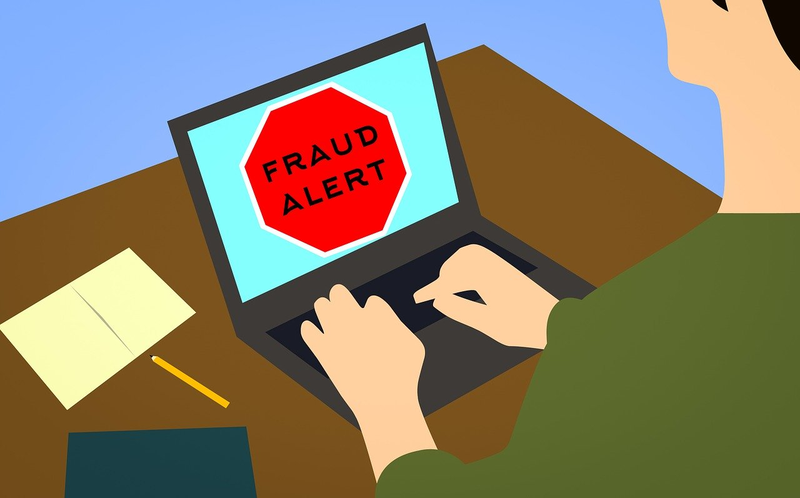 Potential victims who respond to the scamming email messages will be asked by the scammers to send hundreds or thousands of dollars, which the scammers will claim are for taxes and other fees that the potential victims must pay in order for them to receive their so-called compensation or money. But, once the scammers receive the money sent by their victims, they will disappear, leaving the victims disappointed, frustrated and thousands of dollars poorer. This is to formally inform you that your file of your fund transfer has reached Mrs. Christine Lagarde Managing Director of the IMF(The International Monetary Fund). We are also aware that your transaction has been dormant for a while now, and we will like to know why. It will be in your own interest to get back to the department director Mr. Dennis Eversole who is in charge of the transfer unit of IMF, get back to her as soon as possible, failure to do so we shall confiscate your funds to charity. You are hereby advised NOT to remit further payment to any institutions with respect to your transaction as your fund will be transferred to you directly from our source. I hope this is clear. Any action contrary to this instruction is at your own risk. Respond to Mr. Dennis Eversole on this e-mail (eversoled32@outlook.com) with immediate effect and we shall give you further details on how your fund will be released. We await your informed response. I am Rebecca Rowling, a highly placed official of the International Monetary Fund (IMF). It may interest you to know that reports have reached our office by so many correspondence on the uneasy way which people like you are treated by Various Banks and Courier Companies Diplomat(s) across Europe to Africa and Asia London UK, and we have decided to put a STOP to that and that is why I was appointed to handle your transaction here in the US. I hope this is clear. Any action contrary to this instruction is at your own risk. Respond to this e-mail on (reberowl62@outlook.com). Subject: IMF Compensation Sum Of $250,000USD. The Transfer arrangement with WESTERN UNION and MONEY GRAM Department did not progress due to western union and money gram Money Transfer cannot be able to send your payment because such large amount of money can not been to transferred by western union and money gram money transfer without firm requirement that is required by this department. ninth Secretary-General Mr.Antonio Guterres, former IMF Director Mr. Dominique Gaston André Strauss-Kahn and Madame Christine Madeleine Odette Lagarde Managing Director and Chairman of the Executive Board of the International Monetary Fund hereby releasing your Fund worth to you via Bank Wire. The western union and money gram method was not clear due to the (I.M.F & others Authorities) did not granted the large amount you were trying to get through western union and money gram, Because of the large amount I would like it to be transferred to your bank account in your country in the amounts of $250,000.00USD. in each transfer until you get the total funds of ($8,811,279.00USD) in your name, it is possible to wire the money into your account and to avoid difficulties with the Authorities. Please let me know if you like the idea, Note that $159.00 is the only cost you will pay to have the first$250,000USD payment into your account, this $159.00. charges is for the Form and IMF Certificate we will use to deposit the money into your account. email me now and let me know if you will send this $159.00. Form and IMF fee to have the first $250,000USD into your account.I am very sure of what I said, and it is a promise. I would like to let it be known that in a meeting held by the International Monetary Fund in Affiliation with the World Bank, it has been agreed that a compensation of $950,000.00 has been approved in your name. This Compensation program was organized to all the people who had unfinished transaction in any part of the world.Your email Address was drawn automatically through an email ballot machine, that is why you are qualified to receive the above mentioned compensation payment. Registered (c) 2009 - 20114 Western Union Money Transfer. We are obliged to inform you that we have succeeded in resolving all related problems that has held the transfer impossible, With the assistance of International Monetary Fund IMF who have rendered a tremendous help to this Exercise. We regret to announce the mismanagement of beneficiaries fund by our appointed zonal managers, we were not able to meet up with winners fund because of list of names due for payment. In appreciation and understanding to receive your fund we have decided to compensate you with the sum of $950,000.00USD through ATM CARD payment from any ATM MACHINE CENTER IN THE WORLD. Do not hesitate to let us know immediately you receive your fund so that we can take account of how many beneficiaries were paid.